Valentine’s Day is on it’s way, and you can bet that we have some fun Valentine’s Day treats up our sleeves! 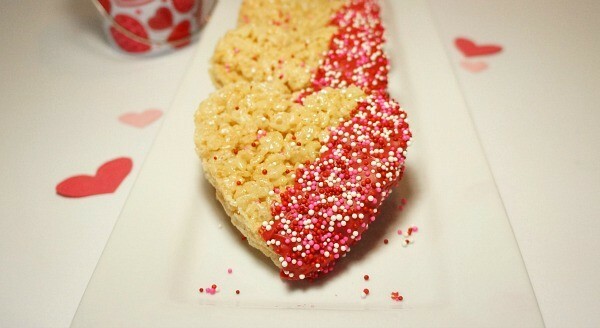 Learn how to make these delicious and cute heart shaped chocolate dipped Rice Krispies Treats! 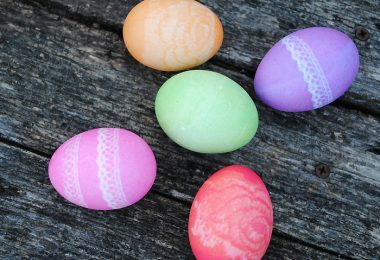 We always love getting into the spirit of each holiday as it approaches, and celebrating LOVE is no different! This weekend, the kids and I got into the Valentine’s Day groove and decided to make something sweet. We might be skipping cards this year and making a batch of these Valentine’s Day treats to pass out at school instead! These instructions are straight from the Original Kellogg’s Rice Krispies Treats page. 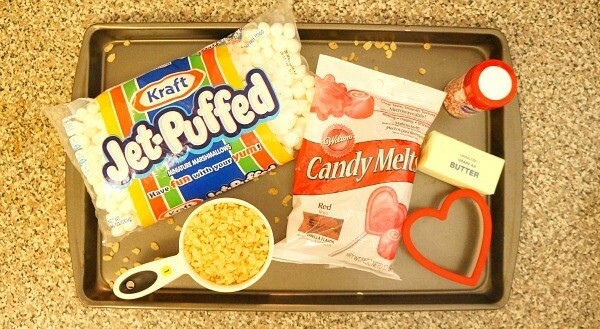 Melt the butter in a large sauce pan over low heat and add the marshmallows. Stir until they’re completely melted. 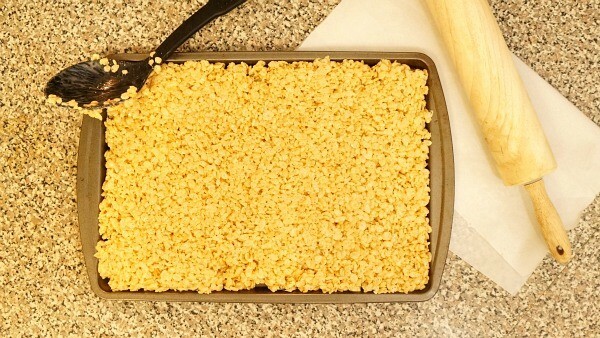 Add the Rice Krispies cereal and stir until well coated. Spoon into your cookie sheet and evenly press the mixture all the way in. What I did next was to place a sheet of parchment paper over the top and roll my rolling pin over it to flatten it out completely, making sure it’s pressed all the way in there, nice and even. 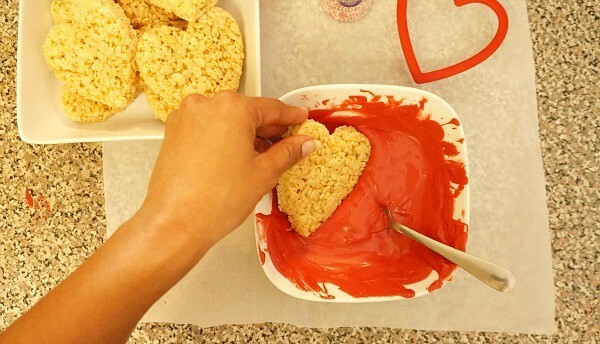 Before the Rice Krispies Treats cool completely, gently press your heart shaped cookie cutter into the treats as many times as you can across the cookie sheet. 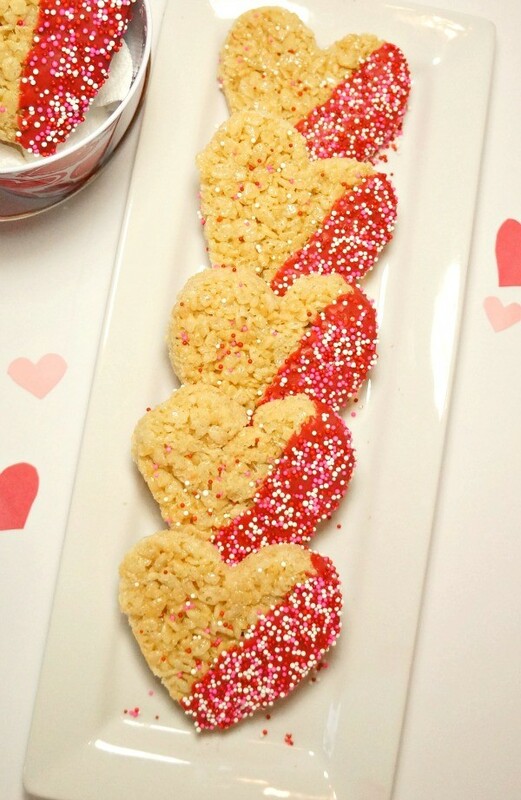 Remove hearts from the cookie sheet, press the remaining edges of the Rice Krispies Treats together again, roll it out over parchment paper and cut out a few more hearts. When you’re finished, clear the cookie sheet by discarding (or eat it!) 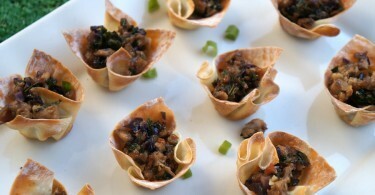 the rest of the edges and place your parchment paper on it. Heat your chocolate candy melts according to package instructions. I chose to dip half of the hearts into the Wilton Red Candy Melts, then douse with Valentine’s Day colored sprinkles. Carefully place each heart back onto the parchment papered cookie sheet. Once you’ve dipped them all to your liking, pop the cookie sheet n the refrigerator for 15-20 minutes, or until the chocolate has hardened. I think they came out so cute! 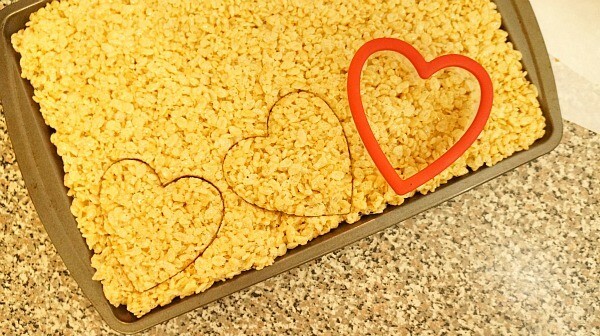 We ended up making about 12 heart shaped chocolate dipped Rice Krispies Treats, if you count the broken one, and we’ve already managed to eat them all! 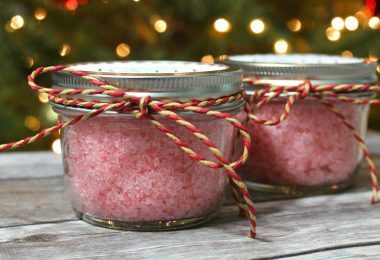 So yummy, so fun, so easy and so cute – perfect for your Valentine’s Day doings! 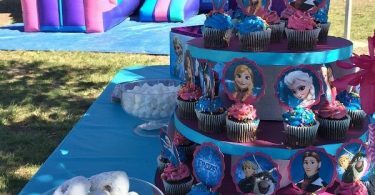 If you try making these, I’d love to see how they turned out!